Lanik Ceramic Foam Filters uses a three-dimensional network structure and an organic bubble that communicates with pores as a carrier, also known as Ceramic Foam Filter. It is invaded into the special molten material slurry with thixotropic properties, and the four-square correction center distance automatic extrusion process is adopted to uniformly apply the slurry to the bubble skeleton of the carrier, and is baked and solidified at a high temperature of 1680 ° C.
The Ceramic Foam Filter is installed in the filter box for the filtration of aluminum alloy liquid impurities to meet the high value-added, high-tech performance of aluminum alloy precision casting of aviation and transportation. Such as: computer hard drives, micron aluminum foil wool, PS board base for printing, cans, jet turbine engine fan blades and other products. The quality of the aluminum melt is important, which greatly affects the subsequent processing properties and the quality of the final product. Therefore, all countries in the world attach great importance to the purification of aluminum melt. There are many reasons for aluminum pollution. 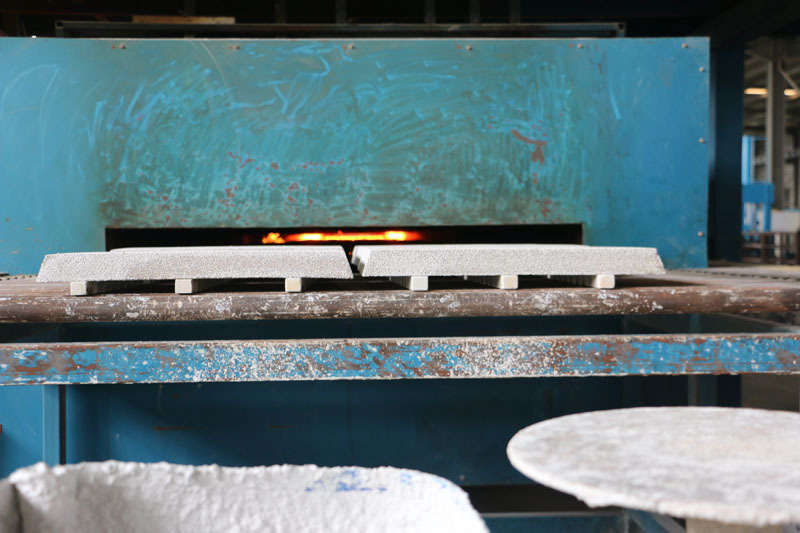 On the one hand, during the melting process, aluminum is exposed to the furnace atmosphere in a molten or semi-molten state, which is prone to oxidation, easily reacts with water vapor to absorb hydrogen, and easily forms various forms of non-metallic slag. (such as furnace lining debris, chlorides, carbides, etc. in the flux) as well as coarse intermetallic particles and the like. On the other hand, part of the waste material in the composition charge carries some non-aluminum impurities during the circulation. Since the waste comes from the process waste and waste of the various processes of the factory and the waste outside the factory, the route is different, the composition is complex, and the quality is also poor. These impurities tend to cause bubbles and inclusions in the slab, which seriously affect the purity of the metal melt, thereby further affecting the processing properties, mechanical properties, corrosion resistance and appearance quality of the product. The Lanik Ceramic Foam Filters supplied by Adtech China can effectively remove all kinds of fineness in the aluminum water to the micron-sized inclusions, making the aluminum water into a smooth laminar flow, which is good for filling. It has good mechanical strength and chemical stability, superior aluminum washability; tightly controlled hole size and through-hole ratio for stable filtration. Lanik Ceramic Foam Filters are surrounded by a sealed, thermally expanded ceramic fiber insert that helps seal the filter plate inside the filter box, ensuring no metal flow.